If you spent the winter months indoors running on treadmills–or not at all–getting back into the routine of running outside takes time. Go too hard right out of the gate and you run the risk of injury before you find your momentum. Taking the time to slowly and safely transition to running outside is the best way to prevent injuries while giving your body time to adjust. These easy tips will make it easier to get off the treadmills and outdoors for your next run. The Right Gear – Spring is a good time trade in your worn-out running shoes for a new pair. Properly fitting shoes are the most important thing a runner needs to prevent injuries. Hit up a running store for a gait assessment and shoe recommendations based on your stride and your goals. Shoe technology gets better each year and running stores make sure their staff is up to speed on all the new models. It’s a great time to get answers your questions about the latest trends, too. Level Ground – Running outside is a different beast than indoors on treadmills. If you ran on treadmills all winter, you’ll find your first few pavement and trail runs can be painful. Why? Because treadmills have a softer surface and give a little which you may not notice–until you take your first run outside. Start your first outdoor runs off with a flat route until you’re comfortable enough to tackle the hills. Start Easy – You know better than to attempt a 5k in your first springtime run outside. Begin with a few interval workouts where you walk/jog/run a few times throughout your workout. It’ll help your body adjust to the different surface and get your feet used to those new kicks gradually. Hydrate – Running outdoors requires you to be more aware about your fluid intake. Running while dehydrated can lead to muscle cramps. Plan ahead and start drinking water an hour before your run so the fluids have a chance to work into your system. Drinking plenty of fluids after your workout will help you recover more quickly and gear up for your next run. Fuel Your Body – Eating a diet full of healthy lean proteins and complex carbs is essential to give your body the fuel it needs to be active. Prepare a light bean salad in advance of your workout so you can cool down and refuel without much effort afterwards. Our recipe for pinto bean and quinoa salad is the perfect post-workout meal full of protein and iron to help muscles recover. Runners come in all shapes and sizes with varying levels of fitness. 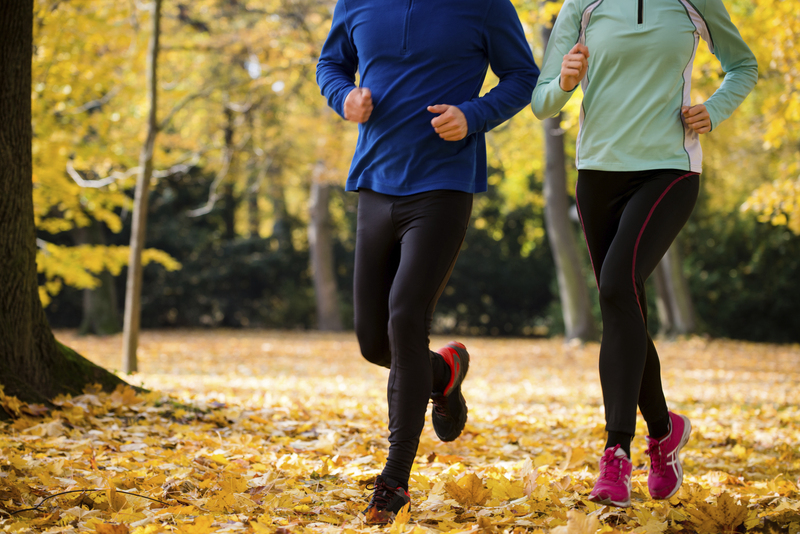 Whether you want to train for a marathon, or just be in shape, these tips work for anyone looking to get outdoors and live a healthy and active lifestyle.